This is an old (2008) Pulitzer Prize winner. 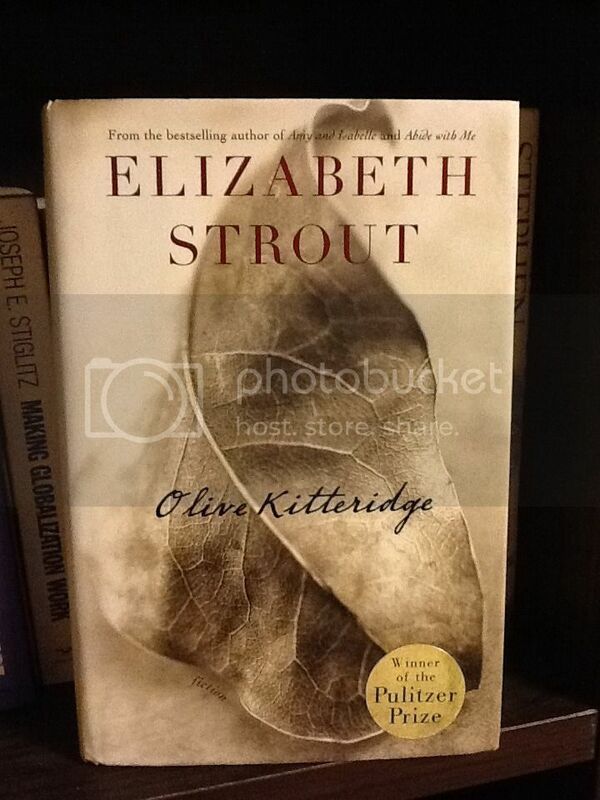 It took me until nearly the end of the story before finally understanding that there really is no connection among all the 13 stories that make up this novel save for the fact that Olive Kitteridge lives among them. Truth is, I questioned the relevance of the stories to the novel. And the bigger truth is, there is none. In real life, we live each of our lives differently from each other… we meet along the way, sometimes in the most trivial of association and sometimes we see ourselves bonded because of some experiences and thoughts that we happen to share. In whichever cases that we do, we look at others and we see them with our biases and appreciations. This is what the novel projects… and after reading the book, it would take us little time to contemplate that indeed, the book’s reality is our reality. It does not matter that the book’s setting is almost provincial. As a mother of two young boys, I was almost scared. Scared of what the future will unfold… scared of the physical and (fervently hoping not) emotional distance with them. As a wife, I wouldn’t want to ever face infidelity issues. Must all couples go through this issue? Right, I am not talking about the book.I am lost between life as we live it and the lives of the people in this book. But then again, I am actually talking about the book. Because this book tells of stories of 13 lives with cruel honesty. They happen and they are confronted and presented by the author with forthrightness that we would want to deny. There is nothing extraordinarily tragic here. There is no one episode that would shock you while reading. It’s the overall impact of the unfairness of life in general… the unpredictability. You could only wish for constant happiness. Oh! Why oh why do I find this book so gloomy?